Sam Rosen returns to action! And on the primary game for CBS, no less! Despite having only 4 games FOX can still boast the Game of the Week, in terms of quality, with the Arizona at Pittsburgh clash spoiled only by the announcers pairing. WHat happened to Kevin Burkhardt? 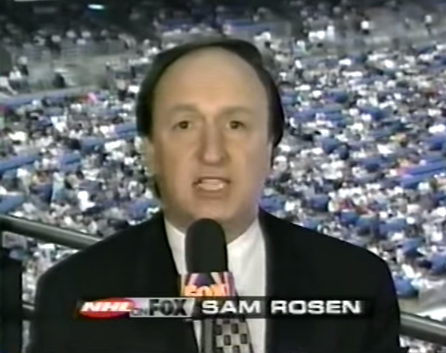 Kevin Burkhardt is busy doing baseball playoff studio show for Fox and to correct my first post Sam Rosen is doing the primary game for FOX,NOT CBS. My bad! holly rowe= intelligent eye candy. Wolf TV in Scranton Pa not getting the steelers game again? I've got some updates to make for both listings and I will be working on that shortly so stay tuned. I'm from the UK, and don't watch many 'other' US sports.. But I take it Joe Buck is also on Baseball duty? That would be correct. Buck doesn't do many October NFL games with the MLB postseason coverage going on.